Carmen Eva, is a textile designer and artist based in Chile, who uses ancient artisan techniques ( felting, nuno felting etc.) for the creation of small sections of textiles as a base of a raw material for the production and creation of unique clothes and accessories. 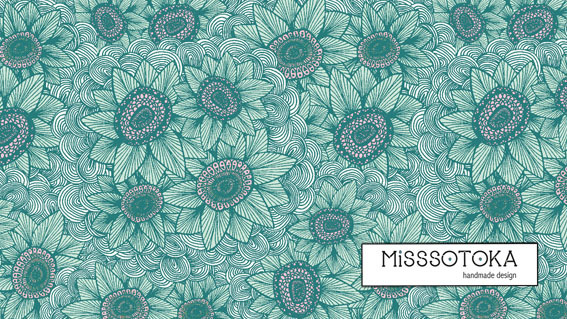 MISSSOTOKA, a Spain based brand, was born to bring to market unique clothing, handmade with love. 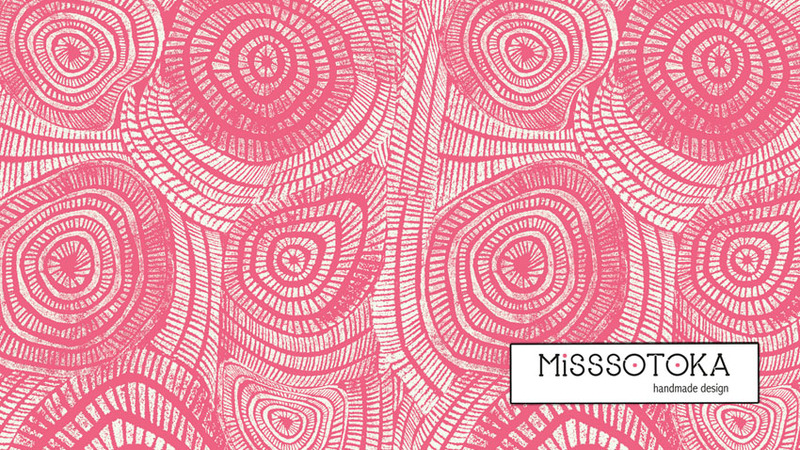 In all the production processes MISSSOTOKA takes great care of every detail and participates in a fair trade and ethical treatment of all people involved in this process so wonderful as is the creation of their collections. 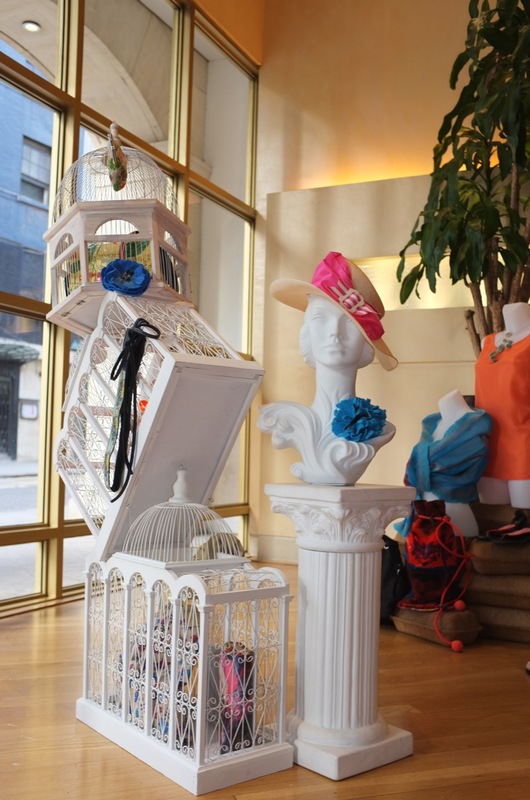 SUSTAINABLE FASHION: INNOVATING OR COPYING THE PAST ? 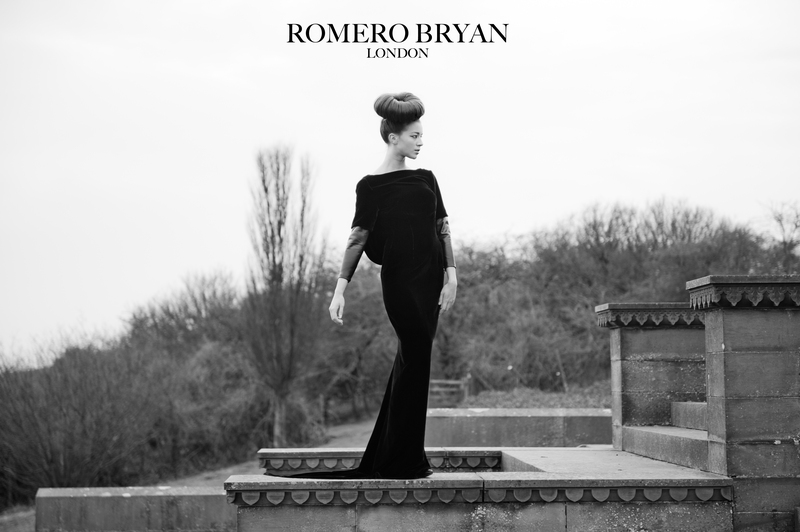 From a young age London-born Romero Bryan aspired to become a world-renowned fashion designer and he began to hone his skills for design and creation at just thirteen. Mr. Bryan has fashion in his genes – both his grandfather and uncle were tailors, whilst his grandmother was a seamstress. 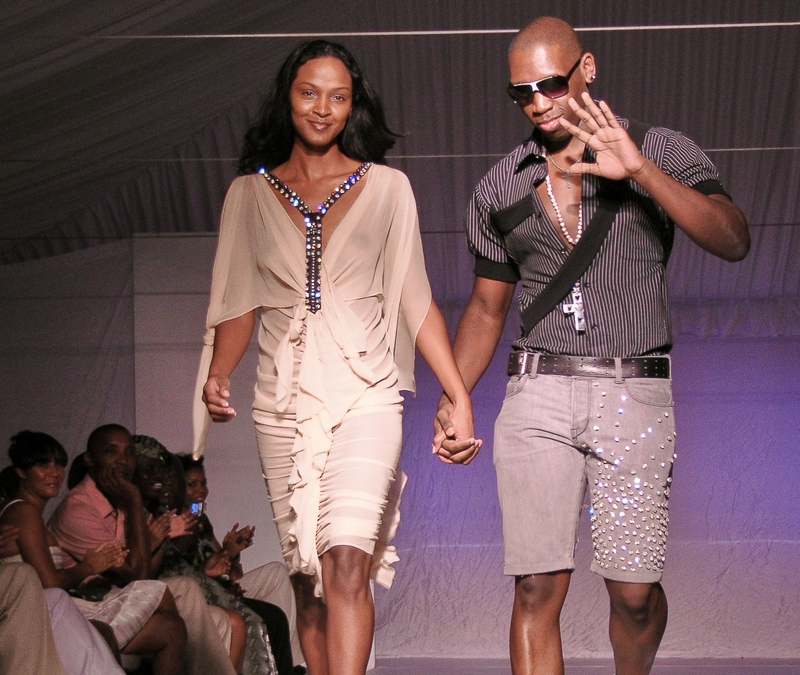 Mr. Bryan’s designs first caught the media’s attention in 2001, when UK singer Samantha Mumba attended the Brit Awards 2001 in a Romero Bryan dress with a plunging neckline. 1) Your passion beyond fashion: LOVE spending time with family & Friends. 19) What’s important to you? The bonds between my family, friends & I. 20) Food for Fashion: BELIEVE in yourself even when others don’t. 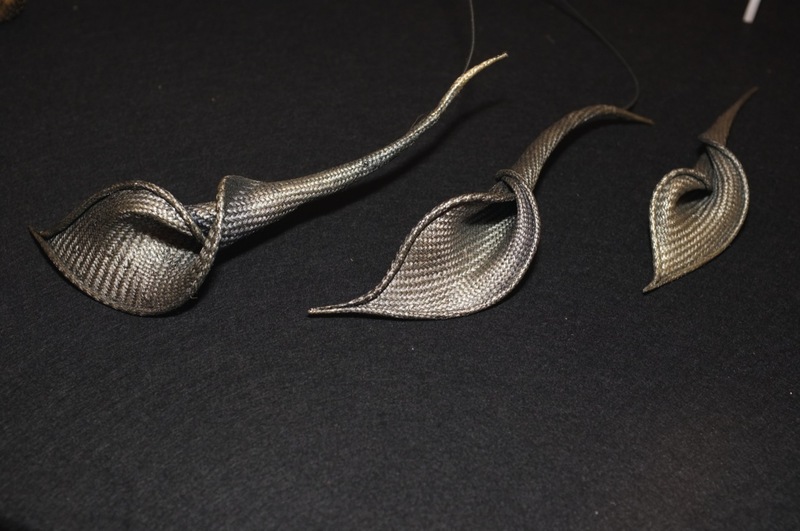 ArLi is a team of two designers, Ardagul Dusegalieva and Liliya Karimova, brought together by mutual passion for creating designer accessories in the form of natural silk and wool. Based in a transcontinental country where Central Asia and Eastern Europe meet, they unite the values of both continents to deliver a sustainable yet luxury product, made from locally sourced 100 per cent natural materials while using responsible production practices. ♥ Images above are from The Metropolitan Museum of Art, The Philadelphia Museum of Art, Vogue.it and Voguepedia. ♥ For more info about Mrs Elsa, please click on the photos. 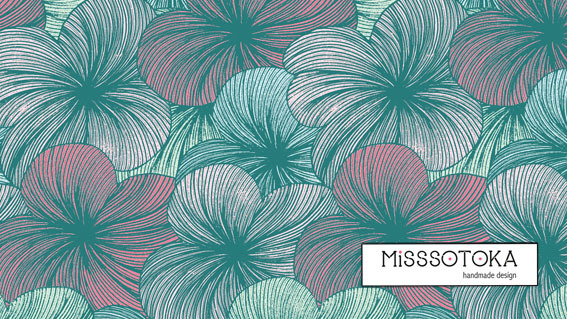 Leading the way in Ethical Fashion is British Talent, Innovation and Ecoluxe London. 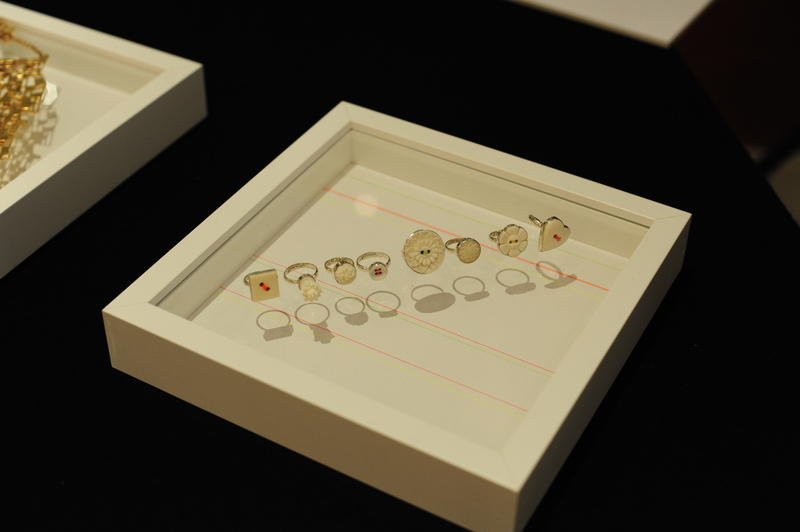 In our September ‘ 12 exhibition, we had no less than thirteen UK based companies with Ethical credentials, dedication and support for British manufacturing. With the motto ‘love is everything’, Tracey Ellis founded Shanti Sundays in 2010. 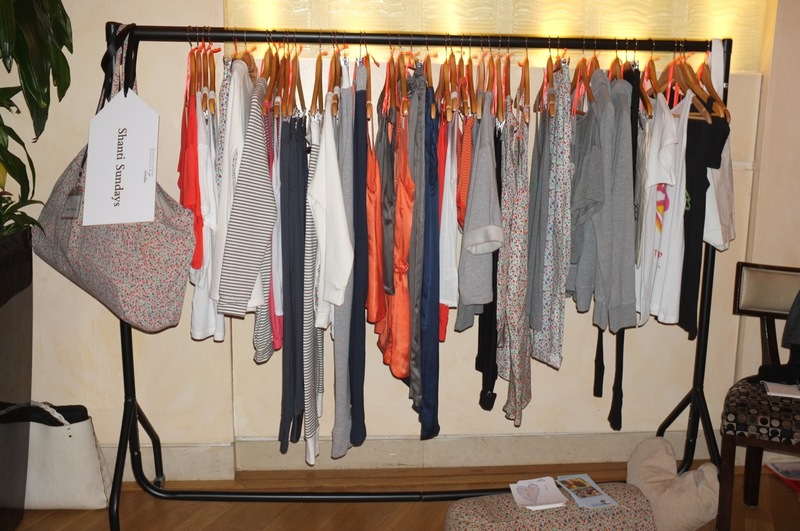 Colourful leisure and yoga wear manufactured in the UK with its accessories manufactured in India, where the company also supports various charities. Supported by Rain: Using broken umbrellas and end of roll fabrics to create unique rainwear made in the UK. 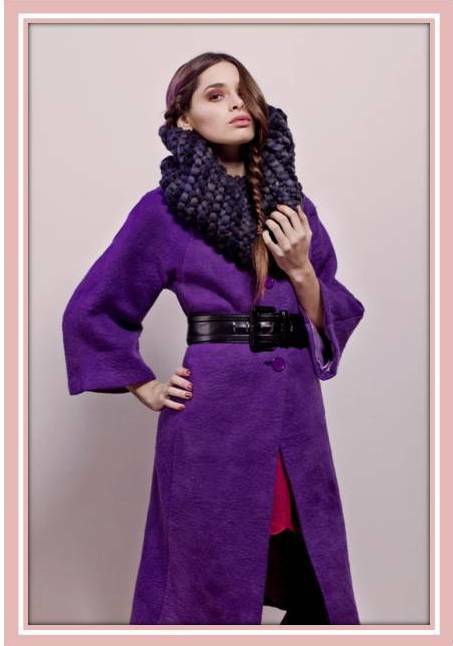 Supported By Rain in the Ecoluxe London Sep ’12 showroom. Pic by Polydor@PolPic.com. By Stamo: Luxury classics with a twist. Manufactured in the UK. 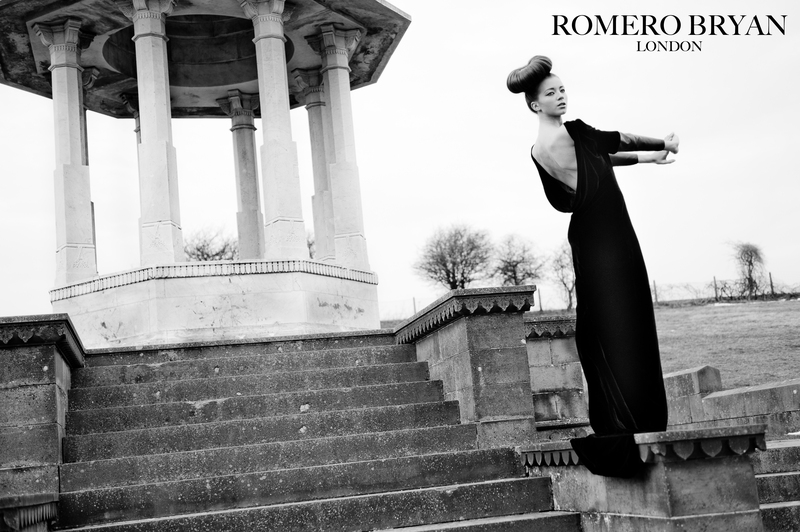 British designer Romero Bryan, chose to showcase his new collection in Ecoluxe London instead of NY Couture Fashion Week. 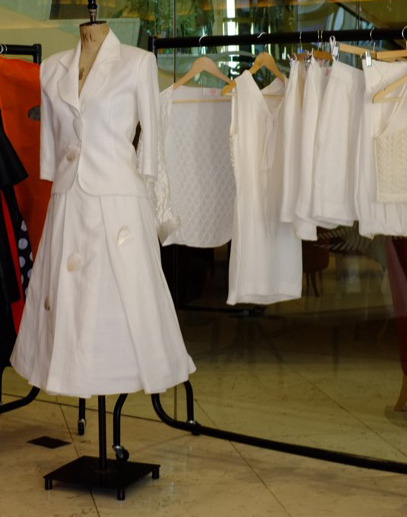 His first attempt to create luxury with a conscious produced layered jackets and skirts with transparent details in cream and black. 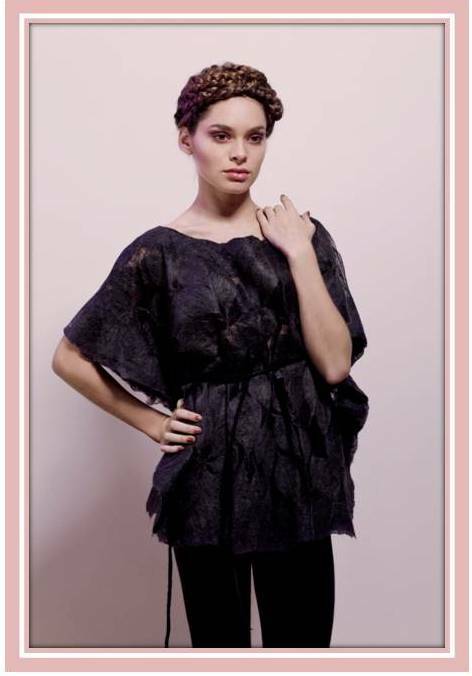 Yvian, showcased with us their first collection. Dedicated to fair trade and fair working conditions. 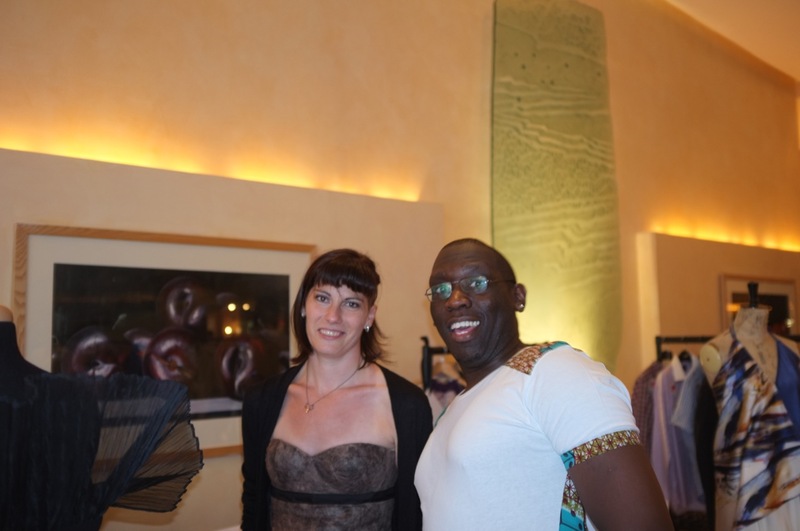 Yvian is committed to change lives and promote development through fashion. 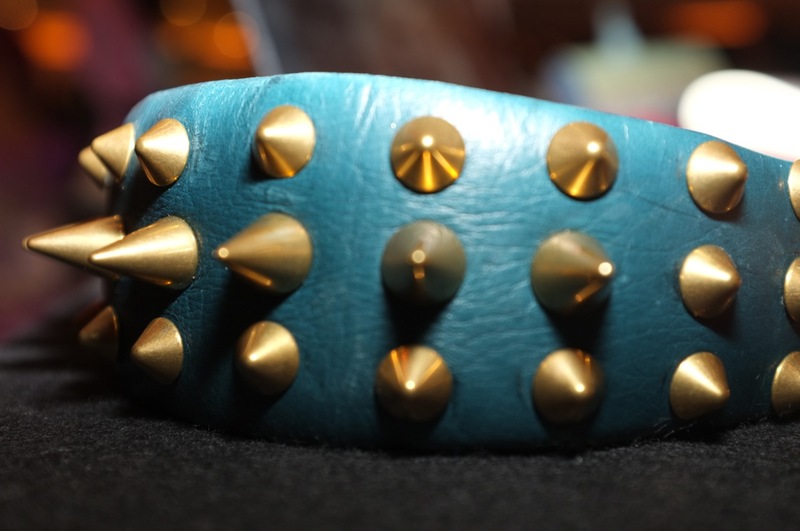 Anna P: leather handbags and cool headbands. 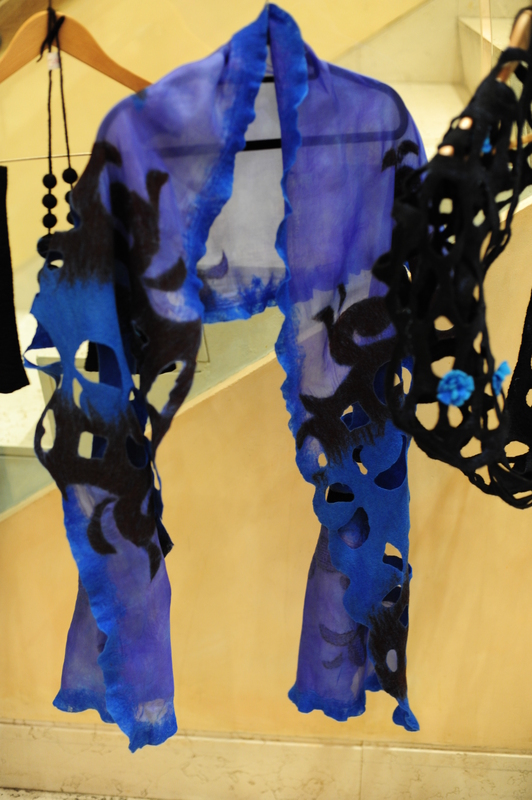 This season Anna, besides her leather accessories also showcased her collection made of recycled denim trousers. Everything is UK made. 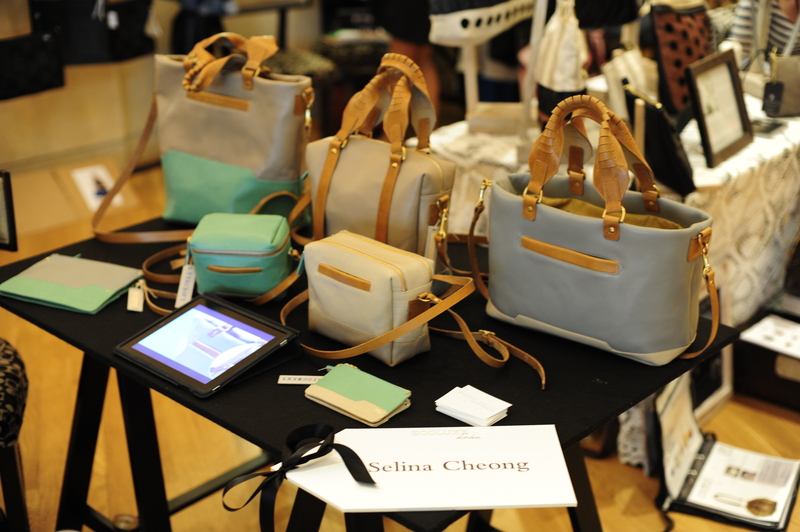 Selina Cheong: Leather handbags and accessories manufactured in the UK and made according to the highest quality standards. 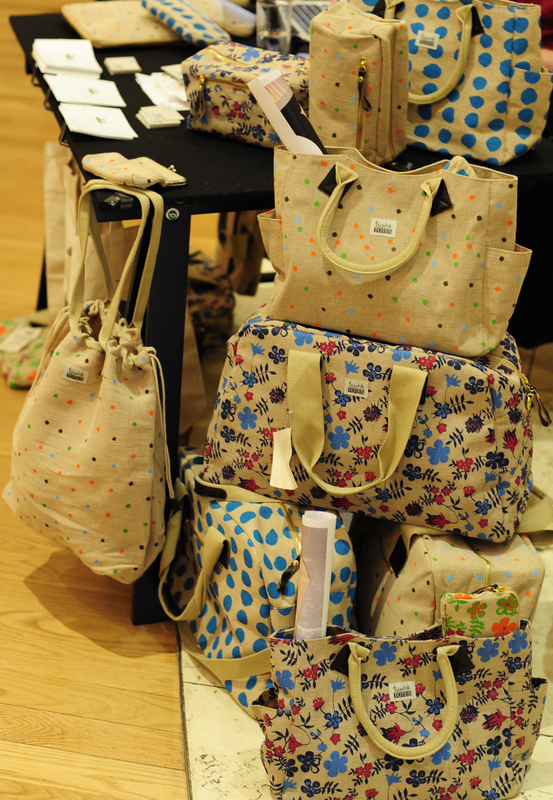 Talented Totes: UK made totes and a range of canvas and fabric bags made in the UK. Menswear fabrics and off cuts are also used to create a range of totes with cool prints on them. 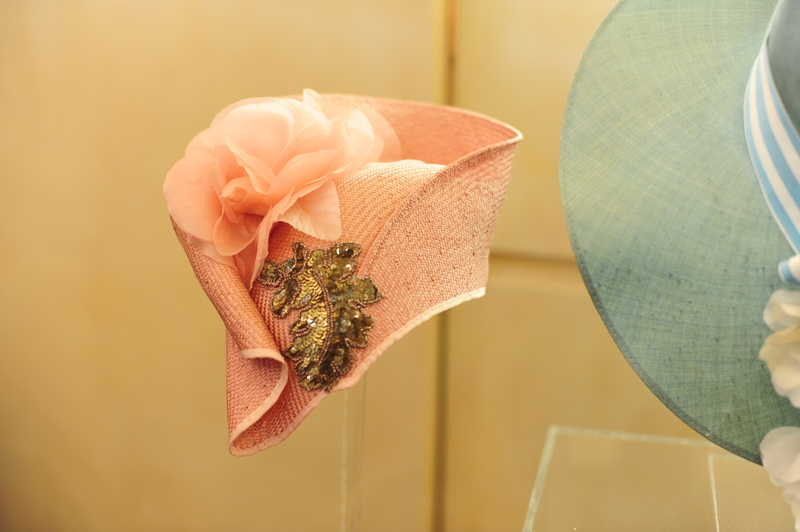 Hatastic! : reworked and reblocked vintage hats with added ‘bits and bobs’. Chloe works wonders. 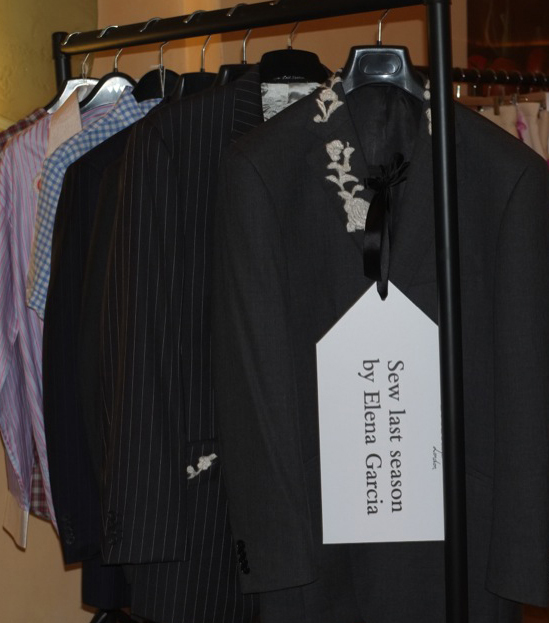 Sew Last Season, Elena Garcia, presented her collection of upcycled men’s jackets and shirts. 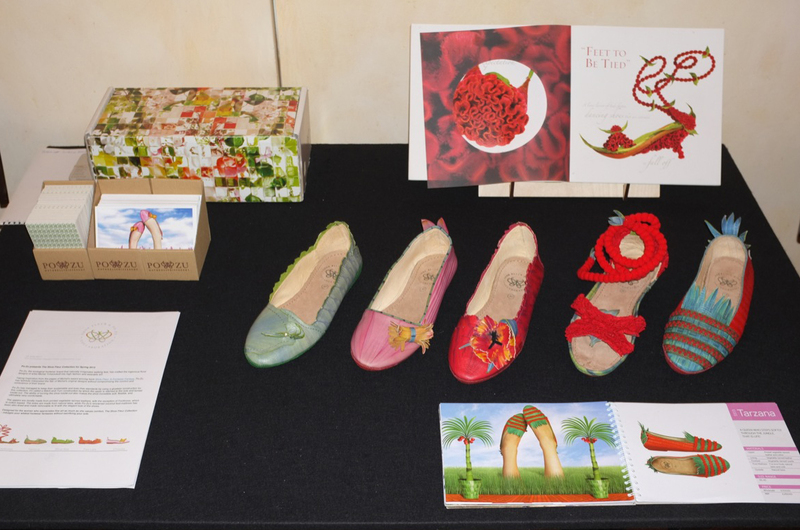 The shoe fleur collection from Po-Zu. A picture is a thousand words so please feel free to talk about them. 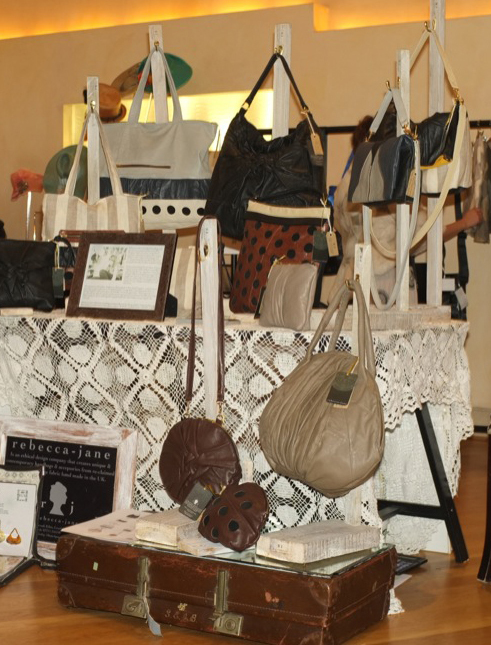 Today we will continue our journey through Europe discovering more ethical brands that showcased their work in our Ecoluxe London Sep ’12 showroom. 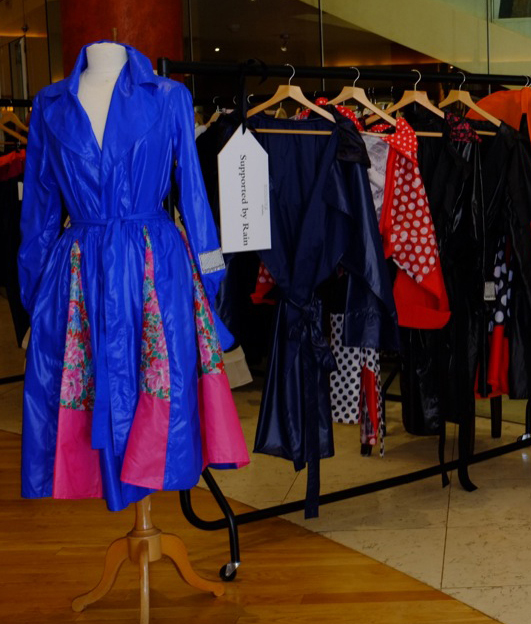 Europe and its ethical fashion were well represented in our Sep ’12 Showroom with exhibitors coming from Spain, Italy, France, The Netherlands, Sweden and Greece. 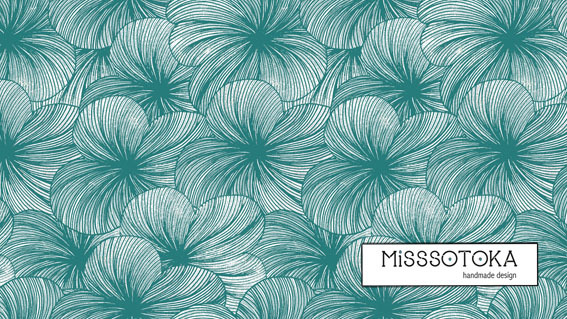 MuMu Organic filled the room with sea breeze and colours inspired by the Aegean sea. Athena Bentila and Roland Wakker founded the label in 2009 and are committed to using organic and eco friendly natural fibres, supporting Fair Trade producers and creating employment for people in Greece. Cardou, based in Athens uses end-of-rolls of high end fabrics to create limited edition casual wear. It is committed to Fair Trade principles and ethics. Tu&Tu, all the way from Italy creates double sided rainwear, bags and dresses using organic cotton and fabric made of recycled plastic bottles which has a luxurious ‘velvet’ feel. For the Tu&Tu prduction, Roberta, its founder and designer is collaborating with Lister Social Cooperative , located within the Department of Mental Health of Trieste. 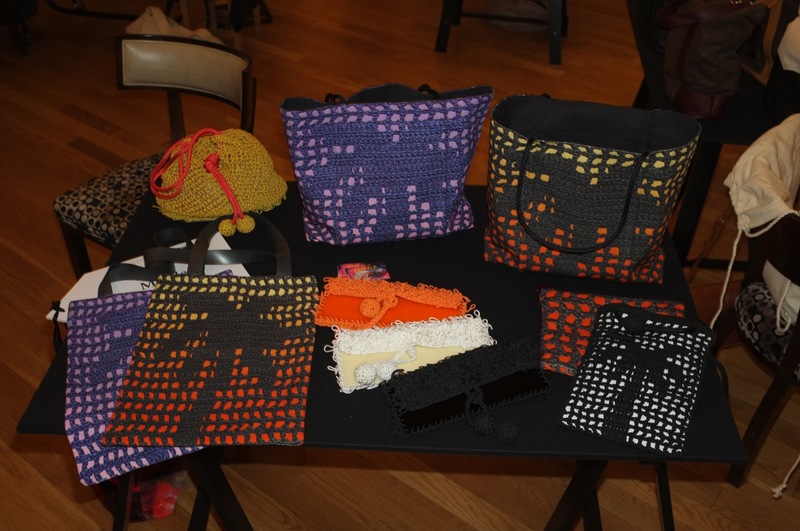 French label Myrtle Accessories recycles wellies by deconstructing them and using the different components to create multi coloured bags decorated with strings and knots. Inez Osvald, from Sweden uses leather by products as well as Scottish tweeds to create luxurious handbags that compliment every wardrobe. 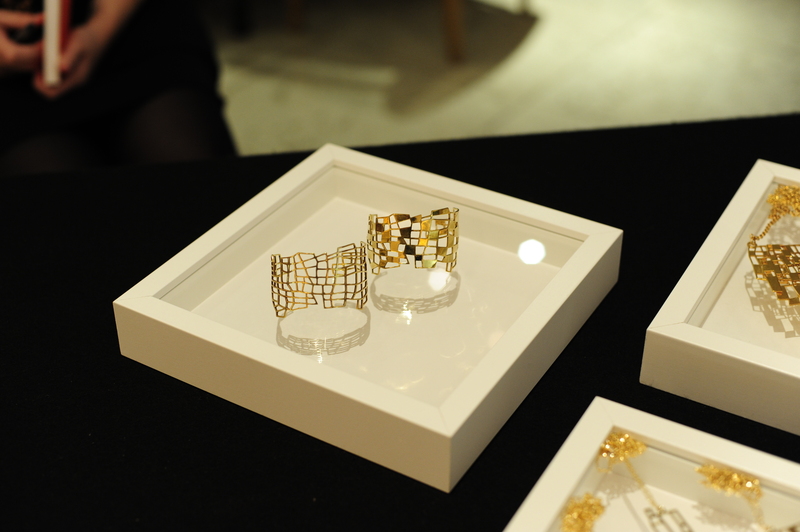 B-made and Bernadette, from Netherlands create beautiful jewellery in collaboration with Nepalese artisans. Pictures speak for themselves.